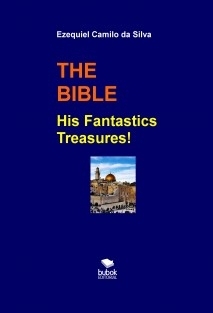 THE BIBLE His Fantastics Treasures! Particularly one of the ideas of treasures leads us to recall many stories we read hear and were told about events that occurred throughout the history of mankind, especially in more recent times. Some are real and others have been created by the imagination of the authors. The literature has explored this very topic that was and remains largely being applied in the publication of books that have become films plays and documentaries. Many stories have become famous and are already well known to many, however, several other stories are little known. However when discussing about treasures for a kind of fascination that surrounds this subject, which draws the attention of all those who are always interested in this type of matter involving adventures, so are attracted to participate in an unprecedented action that comes down in the search for some treasure! O QUÊ AS CRIANÇAS NOS ENSINAM?